Taiwan's only by the Dutch keeper barefoot foreign ministry Koxinga, but because Koxinga in recorded history has a "Fuming" of rich color, so the town gate house renovation project deliberately build a Ming Dynasty style the temple structure is different from Taiwan Qing Dynasty temple architecture. Tsengwen mouth Chiku wetlands, currently the international black-faced spoonbill conservation of birds where most of the gathering, attracting many domestic and foreign researchers and bird watching people, especially in this plan the city set up a black-faced spoonbill conservation management center, take ecological conservation, education and maintenance responsibility of the local precious ecological resources available to care experts and scholars to study the use of the black-faced spoonbill. 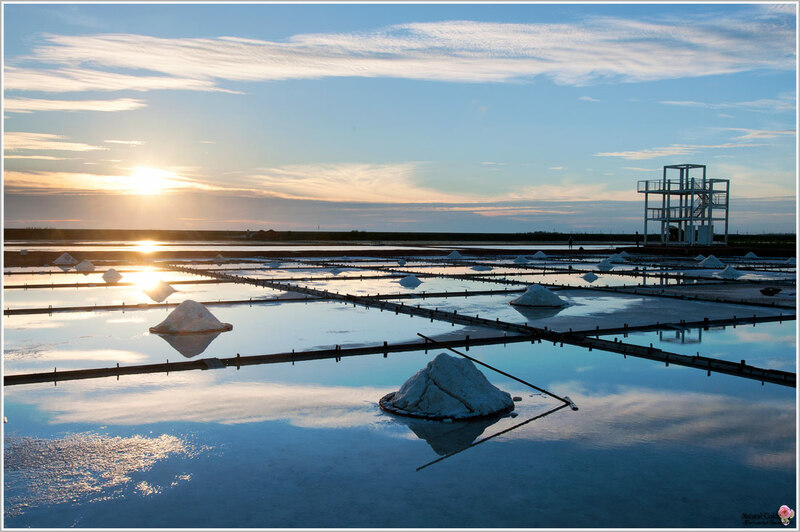 Chiku salt used to be Taiwan's largest solar salt field. Chiku salt about six-storey salt-capped peaks towering seven shares, spectacular, becoming the domestic and foreign persons designated most famous tourist attraction. South Kun Shendaitianfu the Ming Yongli 15 years (1661), dating back over 300 years of history, located in the North Gate area Kun Village, built in the Qing emperor Kangxi years Kun Shen Nan Shan, The topography of the body shaped like fish named Kun, there are "best in the world government" reputation, one of Taiwan's largest temple architecture. Has been set for the two sites, but was selected as one of the "Eight eight wins and three parks" in Tainan, Tainan is a 17 line segments important tourist attractions. The former of Beimen Visitor Center of Southwest Coast National Scenic Area was Beimen Salt-Cleansing Factory. This center provides tourists introductions of the history of salt industry, the ecosystem of wetland, religions and culture, local industries, and literature and arts. In addition, there provide multi-media service and a briefing room presenting many of documentary films of west coast area. One of the extraordinary display worth to watching is the sperm whale and Hong Tong's work on the wall. The Taiwan Blackfoot Disease Socio-Medical Service Memorial House was former Tainan Beimen Clinic. This is the place that Dr. Wang had devoted his lifetime to those diseased patients and where he showed his deep compassion and kindness. Jingzaijiao Tile is the north gate of the first salt is the oldest salt pan tile ruins, but has now become the most unique in the Southwest Coast National Scenic Area Tourist Yantian, more residents returned a total of memories of life, visitors can experience the traditional solar salt in this, pick salt, salt harvest fun.